Southern Cross Campus is a Decile 1, area school in Mangere, Auckland, catering for students from year 1 to 15. With a roll of approximately 1500, students are predominantly of Pacific descent. S&T has led the creation of a master plan for the school. It includes the planning of a staged $20M redevelopment that will improve integration and circulation within the campus while also addressing major issues of weathertightness, roll growth and updating teaching spaces to Modern Learning Environment standards. Stage 1 of the master plan has been the design and construction of a new Trades Academy. Southern Cross Campus’ major strength is its ability to provide a range of career pathways through subjects that prepare students for university studies and / or vocational or trade-related qualifications and employment. Trades Academies seek to replicate industry environments to prepare students for work in real-life conditions and learn skills to help them continue on to further study or gain employment straight out of school. The new Trades Academy at Southern Cross is designed to Modern Learning Environment standards. It is divided into four zones for different trades (construction, woodwork, automotive and metal) with teaching spaces between which offers both the teachers and students a flexible and practical space to work. Construction will be completed later in 2014. The campus is a composite school that caters for students in Years 1-13, with the college component inhabits an existing S68 group of buildings. The master plan for the college refurbishes these buildings to create a set of learning spaces for the 21st Century around a series of learning commons. Added to these existing buildings is a new trades academy buildings. Southern Cross Campus’ major strength is its ability to provide a range of career pathways through subjects that prepare students for university studies and / or vocational or trade-related qualifications and employment. Trades Academies seek to replicate industry environments to prepare students for work in real-life conditions and learn skills to help them continue on to further study or gain employment straight out of school. 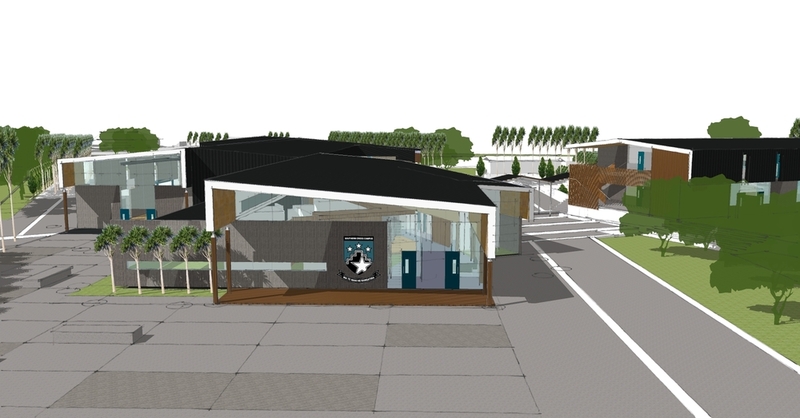 Also included are an extended and reconfigured performing arts centre and administration. Full building services design for Trades Academy completed by S&T; Mechanical, Electrical, Hydraulics. Majority of services were exposed as there was no ceiling in the workshops. We took care to follow building lines and use structures to conceal services where possible. The spaces were provided with radiant heat as well as tempered air to insure that a comfortable environment was consistently provided even with the lack of opening windows.